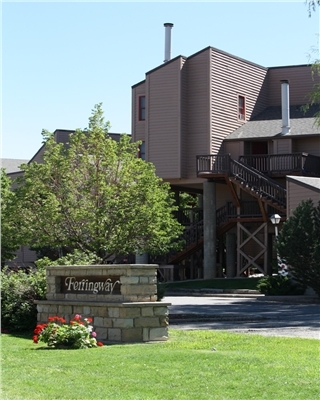 Ferringway Resort offers a Residence for the price of a Room, Nightly, Weekly or Monthly. All units have full size kitchens fully equipped with dishwasher, microwave, toaster, coffee pot, dishes, pots/pans, utensils. Each unit has a wood burning fireplace in the living room. All have washer/dryers. Wireless internet. All linens, dish soap, dishwasher detergent, paper products, salt/pepper, packets of sugar/creamer, packet of coffee, coffee filters, small soaps/shampoos are provided. 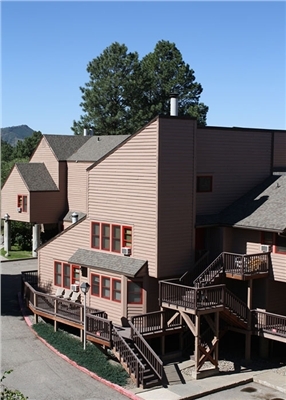 Ferringway Condominiums are located only 2 miles from downtown Durango but the beautiful surroundings maintains a rural mountain feel. 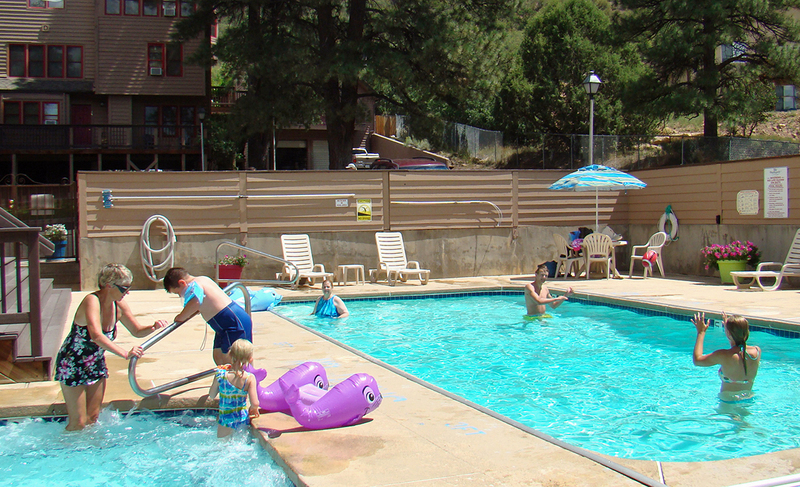 We have an outdoor heated pool & hot tub open year round from 8AM until 9PM daily. THIS PROPERTY HAS NO ELEVATORSFerringway is a perfect location for families with lots of space for children to play. These units will have one queen, king or twin beds in the bedroom and an additional second bedroom in an open loft. The loft has either one queen or two twins (call to verify bedding styles). Living rooms also have an additional queen sofa sleeper or air mattress. Living room & dining room, stackable washer/dryer. Window air conditioners during summer. with pots/pans, dishes, flatware and automatic dishwashers. Wireless internet. All linens, dish soap, Cascade detergent, paper products, salt/pepper, packets of sugar/creamer, packet of coffee, coffee filters, small soaps/shampoos, hairdryers are provided. 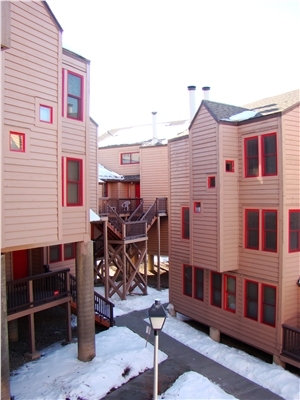 This unit offers two bedrooms two bath on one level. It has a living room, separate dining room, and the bed types vary by each unit. Additional air mattress or sofa sleeper. Window air conditioners during summer. Fully equipped kitchens include pots/pans, dishes, flatware and automatic Dishwashers. These units are very spacious. The master bdrm will have one king bed or 1 queen. The other bdrm one queen or 2 twin (please call to verify bedding style). Additional bedding will be a sofa sleeper or air mattress The bdrms are on the first level along with two bathrooms and washer/dryer. The top floor has a large 'great room' living room/dining rm and kitchen w/ a 1/2 bath. Fully equipped kitchens including pots/pans, dishes, flatware. Window air conditioners during summer. Exit airport. Turn left onto Hwy 172 until you get to Hwy 160. Turn left onto Hwy 160. You will be going west. a stop light at College Drive. Turn right on College Drive. Continue 1.75 miles to Ferringway condos on your right. on College Drive. Continue 1.75 miles to Ferringway condos on your right. College Drive. Turn right on College Drive. Continue 1.75 miles to Ferringway condos on your right. General	| No refunds for early departure. Other restrictions apply during holiday periods. Call for details. While we make a strong effort to keep availability up to date...reservations are not in real time and are therefore not absolutely confirmed until you receive a confirmation # from The Ferringway Resort Condominiums. Rates posted are for 4 persons in the one bedroom. 6 persons in all other units. $15 charge per night for each additional person and/or rollaway. This property is not wheelchair accessible. No elevators. Cancellation	| Cancellations 14+ days before arrival have a $25 penalty. Cancellations inside 14 days from arrival will forfeit entire amount of reservation. Deposit	| Credit Card is required at time of reservation. Full payment is due two weeks prior to arrival and non refundable. Christmas and New Year's full payment is due and non refundable 30 days prior to arrival. ***Main Office is located at 6 Ferringway Circle, Durango, CO 81301. The Main office closes at 5pm...Late Arrivals: Map located on office door directing to the Manager's building. Pets	| Absolutely no pets! Other	| Cancellation - Cancellations 14+ days before arrival have a $25 penalty. Cancellations inside 14 days from arrival will forfeit entire amount of reservation.